The Turkey had been roasted, carved and consumed Thursday but the main event was Friday. Dad and I headed South for more flying fun. 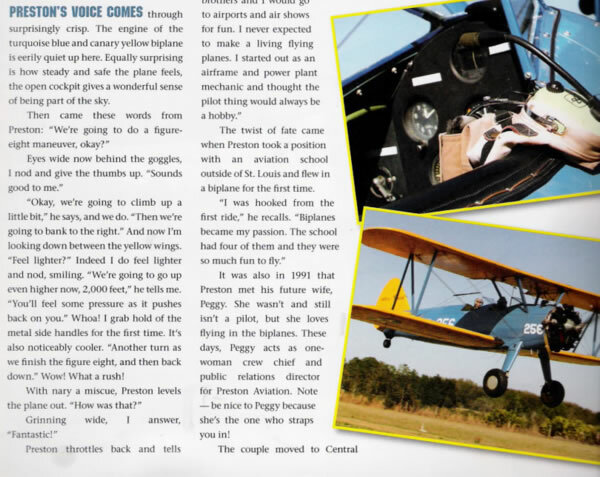 A while back I read about flying a Stearman on Beechtalk. 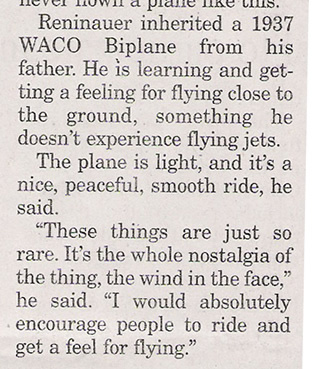 I knew my Dad had never flown one and had always wanted to get a ride. 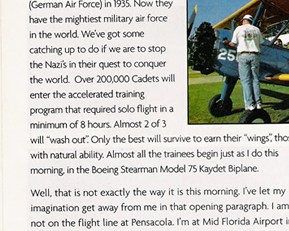 Luckily the school that taught in this classic plane was a quick one hour flight away at Winter Haven Airport (KGIF). A few months back I made reservations to fly the plane but when the day dawned the weather was terrible low clouds and rain. We cancelled and started looking for another day. With Dad up here for the Holidays I figured we had another chance. I booked the flights a few months back and then hoped for better weather. Going to sleep Thursday night I figured we were sunk. There were heavy rains and forecast was for more of the same until late afternoon. Thankfully the forecast has been terrible the last week or so. We awoke to clearing weather and headed off to the airport. I prepped the plane in the hangar and just as I was ready to pull out, a rain shower passed over the field. We hung out inside for 5 minutes while it passed and waited for the sunshine to return. On the way down, we departed and flew our route, we got near one cloud but otherwise stayed in the bright sunshine. 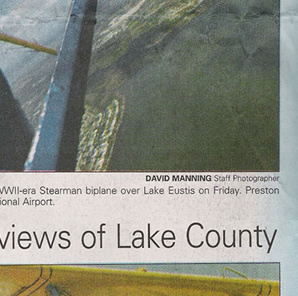 Landing at Winter Haven I could see the Blue and Yellow Stearman on the ramp. We were in the right place. 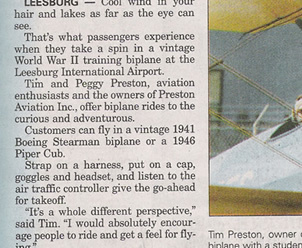 The operation is called Preston Aviation and is run by Peggy and Tim Preston. 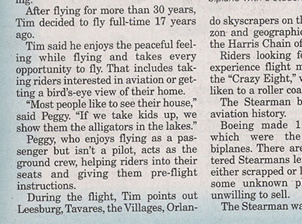 Peggy was wonderful to work with on the scheduling and Tim was a great pilot for our rides. Even if you are not a pilot, you might want to head down there and enjoy their hospitality and experience flight like the early pioneers did. 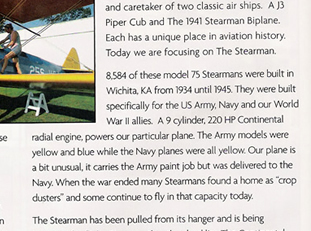 The Stearman, is a biplane introduced in 1934 as a military trainer. This particular one was made in 1945. The plane was younger than Dad but only by a few years. Arriving at KGIF, we headed in to meet Peggy and Tim. We chatted a bit and then headed for the flightline. I sent Dad first. I figured he had been waiting 89 years, no need to make him wait longer. Tim and Dad did the preflight while Peggy and I chatted. Dad then hopped into the plane. They had a step stool to get onto the wing but after that you need to grab a handhold on the wing, swing your right leg over the cockpit side and step on the seat. Then you shift handholds and while grabbing the upper wing with both hands, swing the other leg in and slide down into the seat. Dad was quite agile and Peggy was soon fastening his harness and getting his headsets set. Then we backed up, Tim yelled "CLEAR" and the radial engine puffed a bit of smoke and started its low rumble. They taxied out and Peggy had me hop onto a golf cart so we could get a good vantage point for the takeoff. They flew for about 30 minutes and then returned. Dad hopped out, ok, maybe slowly extricated himself is more accurate. Now it was my turn. I completed the needed gymnastics to enter the front cockpit and was soon briefed and belted in place. The plane is fully instrumented with both airspeed and altimeter. You don't need much to fly this plane. 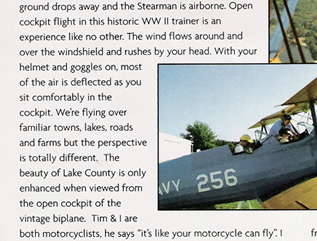 Tim told me that some people claim they flew without airspeed. You can sense your speed quite easily by the level of rushing air. We taxied out and with the stiff breeze down the runway were off in a few hundred feet. At 200 feet or so Time gave me the controls and I was off. We climbed and I followed various highways as we worked out way North. I could See Orlando in the distance and Lakeland off to my left. It was a bit hazy, on a clear day you can see Tampa too. Droning along in the cool winter air with the blue skies I was glad we had waited for the good weather. 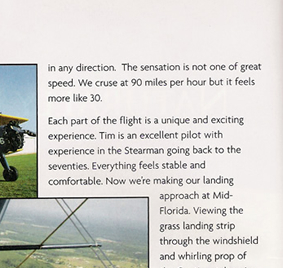 Once we had reached out cruise altitude of 2000 feet, Tim started having me get a feel for the plane. 360 turns were first, left and right. There are only 220 ponies up front but it has a good bit of torque. As a Bonanza pilot that is used to the rudder aileron interconnect, I had to wake up my feet and make them work the pedals. Once I started keeping the ball centered, things were much better. After turns it was power off stalls, they were much gentler than expected. Then it was power on stalls, each was an easy recovery. Then Tim had me do a power on stall but told me to keep it stalled. It was a pussycat, the plane stalled and I kept the stick back, A little work on the rudders kept the wings level as we mushed ahead. Recovery only required releasing back pressure. He also had me watch the ailerons as I approached a power off stall. As you feel the controls buffet, you can actually see the fabric burbling as the airflow begins to detach. Then it was some more sightseeing. He took me over an elephant retirement home, it is Florida, everyone retires here. Pretty cool to see the giant animals roaming about from 1500 feet. Heading back, we did one more maneuver. When we got to I-4, we did Lazy Eights. At first I was a bit timid but with coaching, got more aggressive on the pitch angle. I was rewarded as the plane basically flew the maneuver itself after the first 30 degrees of turn. The nose gracefully dropped through the apogee and settled down ready to head the other direction. Much more fun than when I had to do it on my commercial check ride. Sadly the fun was nearly over, it was time to head back. Now in my plane I have many GPS moving maps to guide me. In the Stearman I had not even brought a map. It was up to me to find my way home based on where I had been. To complicate matters, the wind was about 30 knots at altitude and pushing me West. 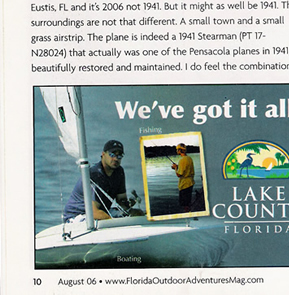 I quickly picked out the lakes around the airport and headed that way. I did have a trusty compass and when it showed South I knew I was at least heading mostly the right way. A short time later I oriented myself and picked out the runway among the lakes and fields. I joined a left downwind for 11 and was going to give the controls back but Tim told me to keep going. I brought her around and established on short final. At about 200 feet, Tim took the controls and we gently returned to earth. The flight home was done with modern technology. The weather had turned a bit back at home and we had to make our way through some bouncy clouds, some light rain and shoot the instrument approach. In the span of a few hours we experienced the full spectrum of flying from the early days to high tech. When handed an assignment, writers sometimes say “Oh no, not that!” Not this kid and not this time. The assign- ment was this: go to the airport, climb in a plane that’s older than you are and tell the world about it and about the people who made it possible. It was amazing, it was definitely a bucket list item. And boy-o-boy would I do it again. 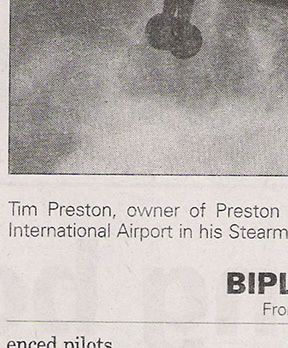 And all because of Preston Aviation. That sounds kind of formal, but Peggy and Tim Preston are far from that. They are down to earth, which is saying something since their business is flying. And they do everything they can to make your joy ride in an open-cockpit, World War II bi-plane an experience to remember. Boy, was it. I’ll get back to that in a minute. First of all, let me tell you about the Prestons. 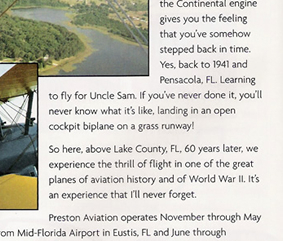 They hang out at the Winter Haven Municipal Airport which is home to their planes – a 1941 Boeing Stearman biplane and a 1946 Piper Cub. 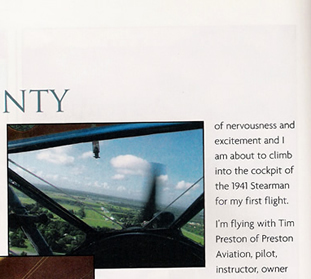 The two vintage aircraft were used by the military as trainers, so are easy-peasy to fly, ac- cording to Tim. 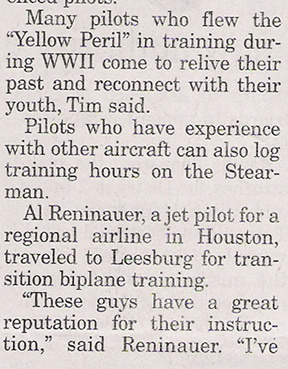 The Stearman was a Navy plane and taught a gazillion Navy pilots how to fly during the early days of World War II, says Tim. How did it survive the last 75 years? He adds the engine is simple and its body, er, fuselage, is covered in cloth that has been painted which makes it mostly air-tight. Of course, those joy rides also help pay the freight too. And they don’t cost a whole lot. For $100 you can fly around Winter Haven and Central Polk for about 15 minutes or so. And for another $85, you can double that time. It’s worth every single solitary penny, believe me. Tim, 60-ish, with a weathered face covered with laugh lines, is just the kind of guy anyone would want to “slip the surly bonds of earth” with. He’s laid-back and lets you know he’s comfortable doing what he does. So out to the plane we go. Bright blue and almost neon yellow, there it sits. Four wings — or so it looks. Big engine, tiny wheels, no walls, no doors. Just an open spot with a small windscreen in front. “Climb up and stay on the black,” says Peggy, adding the rest of the plane is canvas. The climb was easy even for me who made the mistake of wearing a boot with a three- inch heel. Step into the cockpit, keep your legs away from the stick. I put on a canvas helmet with ear muffs and am told to hold the mike that’s attached close to my mouth or he won’t be able to hear me. I certainly want him to hear me if I start screaming as we plummet to the earth. He laughs at that and ask me if I’m ready. I’m trying to be Joe Cool with my lime green shades and Amelia Earhart helmet on when he cranks her up. Planes are like ships, they are always her’s ... sort of loud, but I think my neighbor’s Harley is louder. And we’re off … not up yet, just off down the runway. I’m a wordsmith and have been for many, many years, but I have to say, I was at a loss. I’ve flown in small planes before, flown in a mosquito helicopter and done the jet set thing as well. Nothing compares to this. The slight wind in my face, the sound of the wind rushing by, seeing the truth to the phrase from an old song “on a clear day you can see forever.” I could. It’s hard to grasp the feeling and still pay attention and take pictures. I have to say it was really hard to do. Not the physical part, the mental part. I was so lost in the ride. In the feeling. In the joy of it. I really know now what a joy ride is all about. I was doing it. I was joy-riding. Tim banks to the left and makes a lazy circle back toward the airport. On the way back, I can see the Bartow Municipal Airport and almost see where my house is. Then, I lose track because its time to land. Anticipating a bumpy landing, I braced myself by holding on for dear life. Didn’t have to. 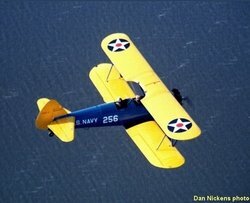 Tim guided the Stearman in sweetly and softly, and slowly rolled up to the pavement and, before I knew it, it was over. It was over. Too soon. Too fast. 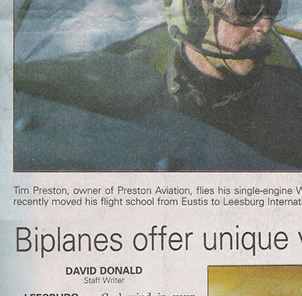 If you want to do what I did, or learn how to fly an antiquated but absolutely amazing plane or two, call the Prestons. Their number is 863-956-2526. Or walk in, they’re just inside the terminal building on the left. If you are lucky, maybe you’ll get the feeling too. Joy. Just plain, unadulterated, heavenly joy. Imagine that you and your significant other go shopping in a pricey store that’s known for its exclusive clientèle. Think Rodeo Drive, maybe. Walking through the door is a little exciting, if not slightly intimidating, but you make it past security and find yourself on the inside. It isn’t long before you realize that you’re out of your element, but not so far out that you can’t get by without bringing undue attention to yourself. So you persevere. You hang in there, trying on a high-end suit or two, gawking at the jewelry that cost more than your house, and you find yourself seriously considering signing up for a store account because it all looks so alluring and exciting. Then you notice the door you came in through. It comes to your attention that seven, maybe even eight, of the customers who are leaving are dissatisfied. Most of them weren’t able to purchase what they came in for – but their wallets are a bit lighter nonetheless. There is grumbling, discontent, and a clear consensus that the service they were offered was nowhere near what they were expecting – especially for these prices. Welcome to the wonderful world of General Aviation. That’s exactly how the public at large see us – as opportunistic, less than professional hobbyists who take our customers for a ride – both literally and figuratively. I experienced the slimy underside of GA myself when I first began taking lessons more than two decades ago. I’ve personally witnessed, and paid for, lousy instruction from unprofessional and somewhat unscrupulous instructors who worked for schools that turn a blind eye to the fact that their students are quitting more often than they’re achieving their goals. I stuck it out and eventually found success. Most of our customers don’t do that. They quit, and they’re not shy about telling their friends and neighbors why they quit. It’s not a pretty picture we’re painting. No it’s not. This brings to mind my friend Tim Preston. 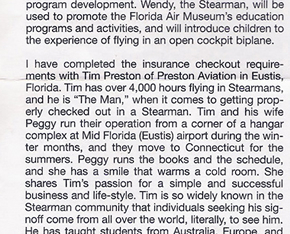 Tim and his wife Peggy operate a Piper Cub and a Stearman from right here in central Florida. Like so many speciality businesses, they’ve moved around a bit, sometimes finding green pastures, and sometimes not. But through it all they have made a solid career out of providing excellent customer service, at a reasonable price, to customers who feel well served and speak well of them. Saturday I watched Tim pre-flighting the Stearman while I was eating lunch on the porch of the airport restaurant. He was getting ready to fly with a woman who came all the way from Sweden to log some type specific time, and have an experience she would remember forever. Peggy took photos for posterity, the woman’s significant other did, too. 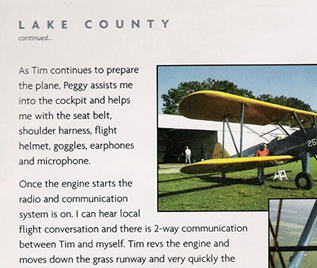 Heck, the woman even went so far as to wear a video camera mounted to her head so that she could immortalize the experience of flying with Tim, in an open cockpit biplane, over the lush green landscape of Florida. The sense of satisfaction and accomplishment that woman took away from her airport experience will make her a stalwart supporter of GA for all time. The same would be true for almost anyone who had a similar experience. There’s a lesson in that for the rest of us. 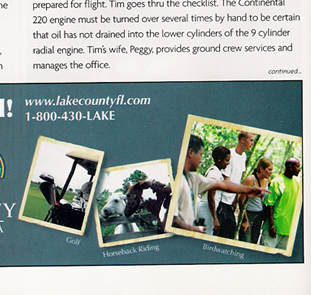 If we ramp up our level of service and increase our acceptance of honest professionalism — even while maintaining a sense of fun and unabashed enjoyment in our vocation and our avocation — we can swing a significant number of our customers and observers into the satisfied column, and do a great service to general aviation’s future in the process. Or we can keep on doing what we’ve been doing for the past 20 or 30 years. Then again, that hasn’t been working out all that well for us, has it? 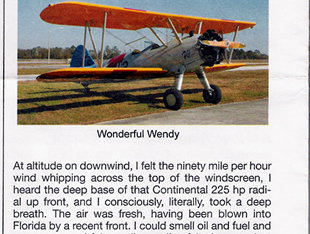 Residents of Polk County, Florida, often hear the throaty sound of a radial engine in the skies above. With eyes elevated they make out a blue and yellow biplane winging its way at several thousand feet. 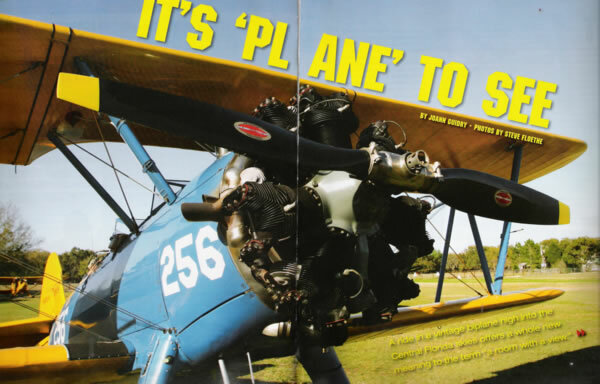 The aircraft is a 1941 Boeing PT-17 "Kaydet" maintained by Preston Aviation at Winter Haven Municipal Airport. The PT-17 is one of a gaggle of venerable warbirds that call the area home. 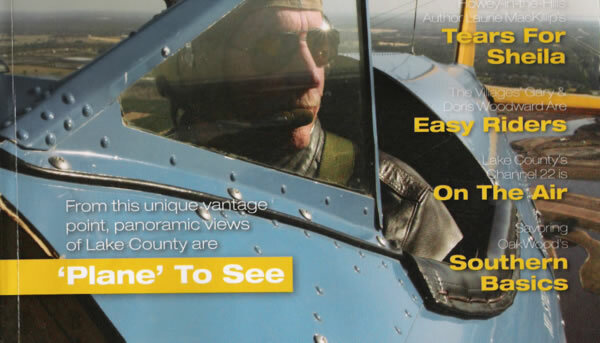 Information about flying instruction or scenic rides in the classic aircraft is available by telephoning (863) 956-2526. 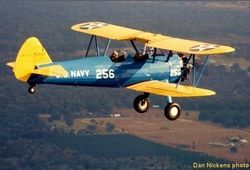 Being a particularly rugged and simple design, the Boeing Stearman Model 75 was quite suitable for teaching young World War II military aviators the rudiments of flying. 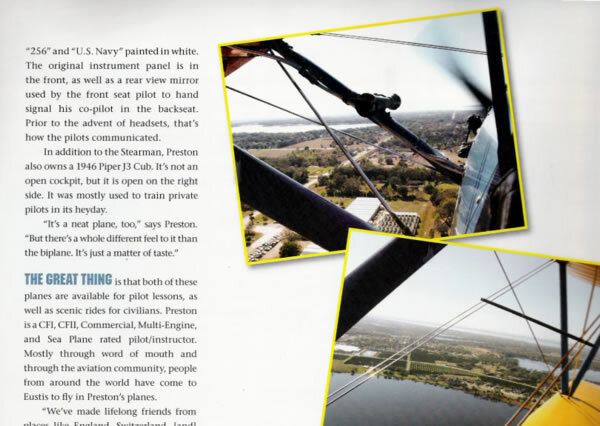 The Preston Aviation example, a "PT-17" sporting U.S. Navy livery, utilizes a 7-cylinder Continental powerplant. 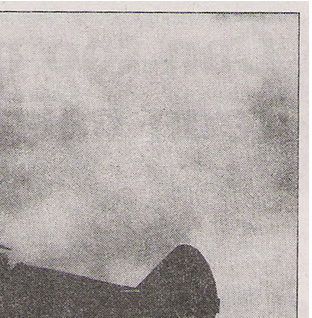 Notably, these planes served the military air arms of many nations. 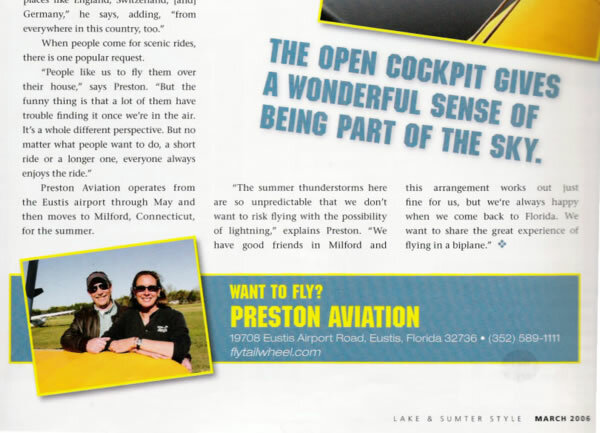 On Saturday, Apr 30th, Preston Aviation of Winter Haven, FL and SWT Aviation co-hosted a demo event for CubCrafters. John Moreland, FL Sales Rep for SWT Aviation, spent a good part of Saturday giving flight demonstrations to interested prospects using Preston Aviation as a local base of operations in Winter Haven. John said, "It was really great that Tim & Peggy agreed to help us host this event. 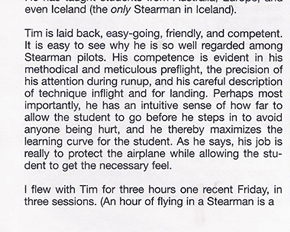 Tim is one of the pre-eminent tail wheel instructors in the region. 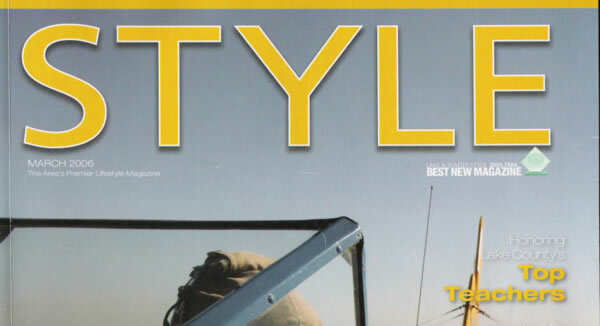 It is a natural fit for CubCrafters and Preston Aviation because some of his clients are interested in our airplanes and some of our prospects may feel they need his services as they transition to the SportCub or CarbonCub." 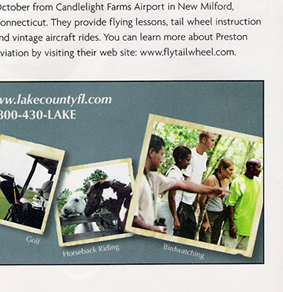 Preston Aviation provides tail wheel instruction in the J-3 Cub and the Stearman. The sleepy southern fields of December jumped to the staccato roar of seven unmuffled cylinders. The air reverberated and settled into a steady beat as the old airplane shook to life one more time. Inside the cockpit a dream decades in the making was being reaffirmed. 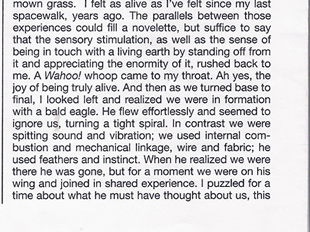 The man and flying machine intersected again more than half a century after the dream was just a juvenile longing. 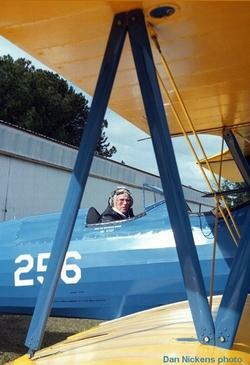 The seasoned pilot gazed over the long blue nose stuck between the two yellow wings of the Stearman biplane. The smell of the leather lined cockpit and the engine oil mixed sweetly just as he remembered. The same two eyes had been wide open staring at the big round engine in 1946. He was only thirteen then and his dream of taking to the air was realized for the first time. 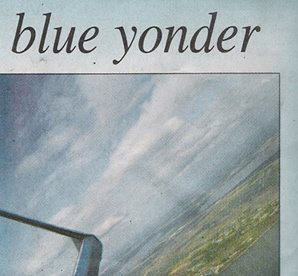 For the boy growing up in a modest Norfolk (VA) neighborhood, the thought of flying was all-consuming. He read everything about flying he could get his hands on. He made model airplanes to simulate flight. He worshipped the flying heroes returning from winning a world war. His prospects for ever following their path into the air, however, seemed wildly hopeless. His father understood the passion of the boy's dream. He prevailed upon a friend of his to take the boy for a flight in a surplus military trainer. There was, however, a technical problem: the friend was just a student pilot. Student pilots cannot carry passengers. Seeing the boy's desire, the long-time student made an appointment with the Civil Aviation Administration (the FAA's predecessor) to ride with an inspector for his license. 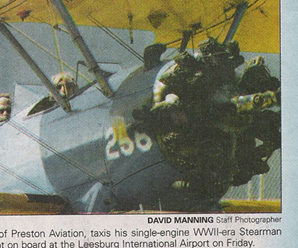 He flew to the appointed airport in a rented Boeing Stearman for the checkride. [Here he is, in 1946 --ed.] The boy joined him there in anticipation of being the newly minted pilot's first passenger. The CAA inspector never arrived. There would be no new pilot to fly the boy. The boy was crestfallen. For a kid, the rules got bent. "Go ahead and get in," the student pilot directed, "but keep your head down until we get up. We don't want anyone to see you in here." He directed the boy's father to meet him at a muddy, unattended field to retrieve the illegal passenger. The clandestine operation surely added to the boy's adrenaline level. Crouching down in the seat of the open cockpit he could barely contain himself. It was the biggest excitement of his thirteen-year life. This time, it was legal. That same excitement seemed little reduced in the intervening fifty-six years. 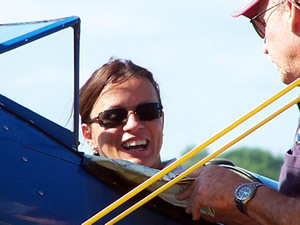 The now-seventy-year-old man was beaming as he advanced the throttle to move the Stearman onto the grass strip. For this trip, the flight was completely legal. There was an instructor riding in the front seat to administer another in a long string of flight reviews. 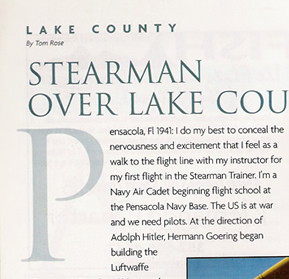 The boy that hid in the Stearman cockpit was now a senior aviator. 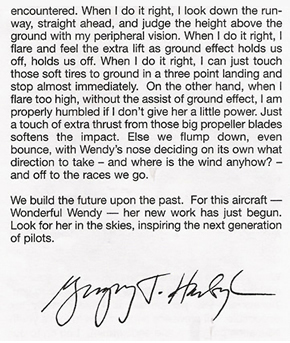 In the half-century following his first ride, flying had been his life. He had wrangled his way into the Air Force, flown jet bombers during critical days of the cold war, been in a hot war in Vietnam, was nearly killed when his airplane was shot down in Albuquerque [! ], served as an Air Force advisor to the Shah of Iran's air force, retired from the military to fly charter flights, then retired to fly a homebuilt experimental amphibious seaplane. By any measure, he had proven himself to be a consummate airman. As a youngster, the boy entered the U. S. Air Force under a special program in the 1950s. As a cadet, he learned to fly in a slightly more-modern trainer, the T-6. He was then assigned to bombers and learned that trade by flying obsolete World War II B-25s. He graduated to fly a multi-engine jet bomber, the Boeing B-47 Stratojet for the Strategic Air Command. Shortly before the demise of SAC, the Air Force captain transferred to transport aircraft and was shipped off to Vietnam. In Vietnam he flew dignitaries throughout Southeast Asia. He also flew commandos into mountain strips at night, guided only by flashlights the Special Forces troops arranged at the edge of the jungle. After a year, he returned to the United States without taking any serious damage in the heat of combat. 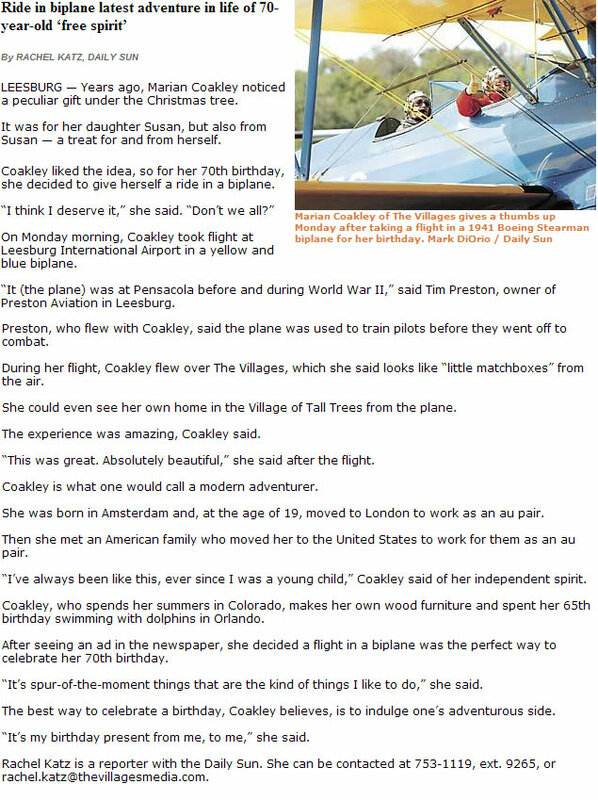 It was on a training flight out of Albuquerque (NM), however, that he came closest to dying in an airplane. The dusk departure had the aviator flying as Instructor Pilot in a C-47 'Gooney Bird.' Shortly after liftoff, a flash fire developed in the right engine. With the crew unable to extinguish the fire or feather the prop on the stricken engine, the plane would not stay in the air. 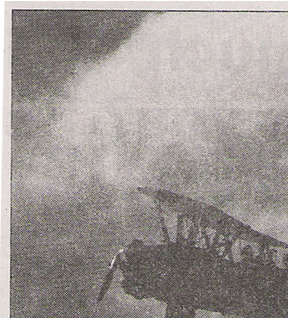 In a smoke-filled cockpit with zero visibility he set up the airplane for a controlled crash. Although the aircraft was destroyed both the instructor and his student escaped. It was later determined that a high -caliber bullet had pierced the engine, disabling all the critical components that led to the crash. Iran was safer than Albuquerque. The aviator also served time in the Middle East. He worked as a liaison officer with the Iranian Air Force. Before retiring as a Major and Command Pilot with five air medals, he returned to the U.S. and flew jet transports out of Andrews Air Force Base in Washington, DC. Flying small jets for the Air Force led directly to a job with an aircraft charter company. The airman flew executive jet transports until the company he worked for went out of business. 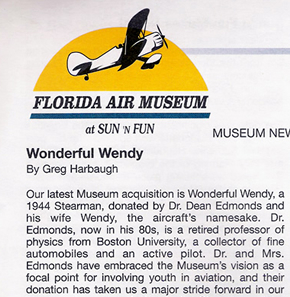 After some years out of aviation, the self-grounded pilot retired to Florida. 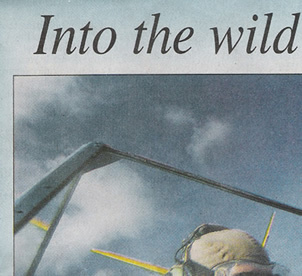 Here he discovered the world of light, homebuilt aircraft. One in particular, a kit-built seaplane, caught his interest. 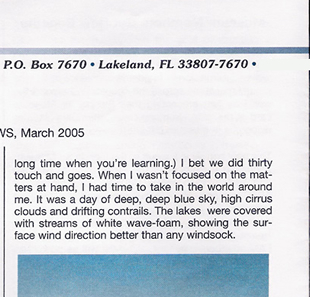 He bought a Searey kit and built it. 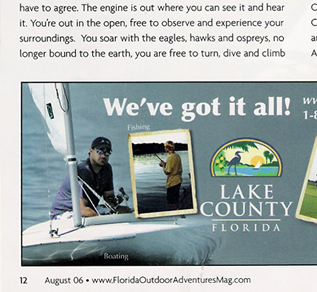 He's been flying it for fun, on and off the water, for six years. The FAA requires even someone of this airman's experience to pass a flight review every two years. 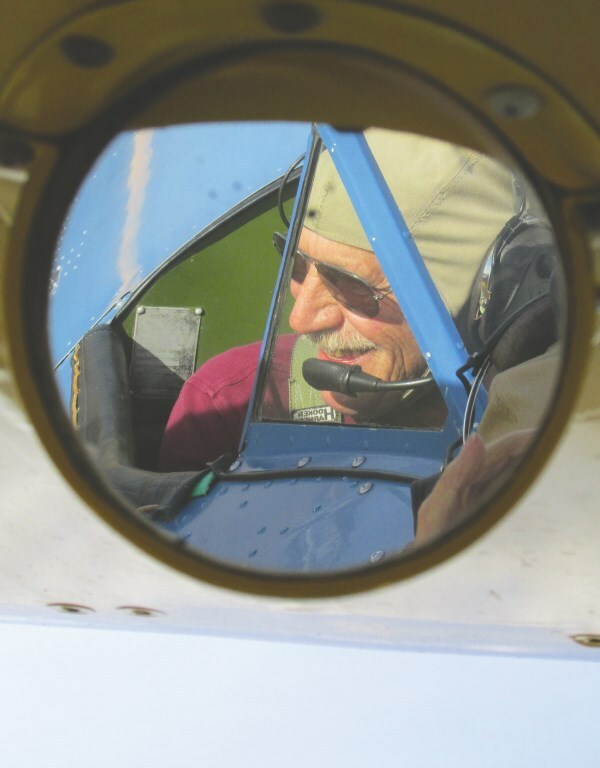 Since the thrill of flying remains as strong as ever in the boy turned senior aviator, he scheduled the flight review shortly after his seventieth birthday. Instead of taking a rubber stamp check ride in a plane he was familiar with, the persistent pilot chose to make it a challenge. He wanted to relive the experience of his first flight from the perspective of an accomplished pilot. 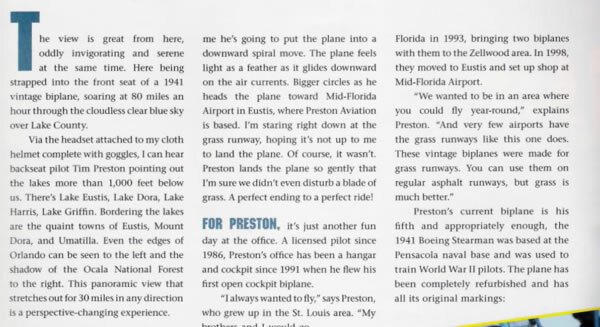 He purposefully sought out Tim Preston, a Certified Flight Instructor, owner of Preston Aviation and one 1941 Stearman at X55, for his flight review. 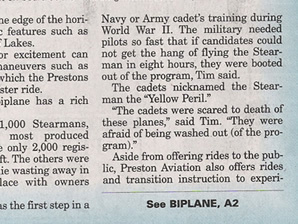 Preston's Stearman was developed as a trainer, but it is no easy airplane to master. It was built when airmen flew in an open cockpit, with minimal instruments, behind two wings in an airplane that had little visibility for taxiing on the ground. Unlike modern trainers, it is a demanding taskmaster. The biplane the pilot sat in was built in 1941. Dates stamped on the wings and ailerons showed that it started life as Pearl Harbor was being bombed. The date of the check ride coincided with the sixty-first anniversary of that attack. 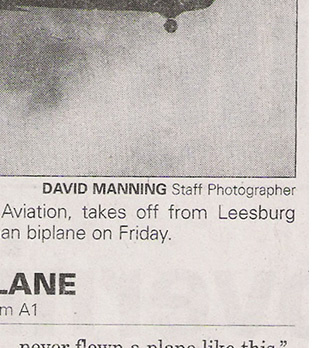 It was impossible to tell that the airplane was that old. It was decked out in the sparkling blue and yellow colors specified by the Navy. It gleamed under the beckoning Florida sun. In the spirit of the craft, the pilot chose to wear a leather flight jacket and silk scarf. The cloth headset connected to a modern radio was one concession to the date on the calendar. Watching the pre-flight ritual was a small cadre of spectators. One remembered the thirteen-year-old boy selling newspapers to raise money for flight time. 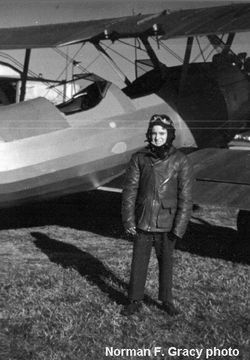 Pauline Young, a lifelong companion, followed the aviator to Florida when he retired. 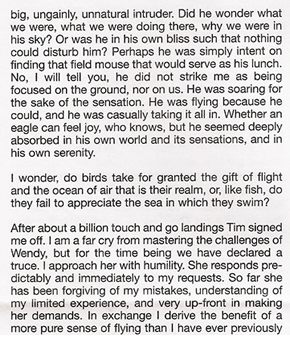 She worked alongside him to build his little experimental seaplane. She was now present to commemorate the renewal of the man's lifelong dream. In the space of a few hours, the government's requirements were ably met, to the instructor's satisfaction. The timeless flight concluded with the required signature in a book logging thousands of accumulated flight hours. One more time, Norman Frank Gracy, Major U.S.A.F. Retired, proved to himself and the world that he was born to fly.